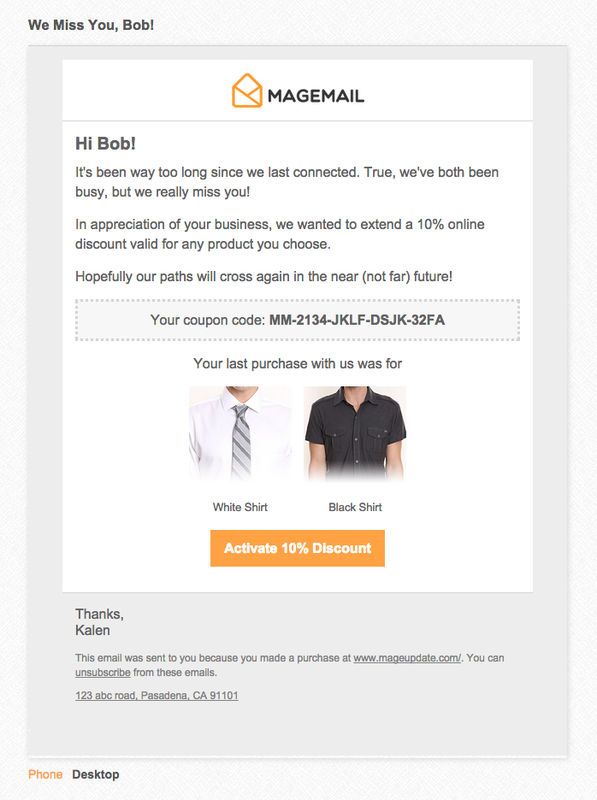 A winback email is an email that goes out to customers who haven't purchased for a while. Let's say that your general repeat purchase frequency is every 3 months for good, long-term customers. So what you can do is send an email out right about at that point (or slightly thereafter) - let's say 100 days out - and incentivize those customers to come back and purchase with you again. Because many online stores have a lot of single one-time purchases, you want to do all that you can to keep each customer as a long-time, repeat customer.